World Champion Stuart Bingham joined Ricky Walden among the early casualties at the International Championship as he lost 6-2 to Yu Delu at the last 64 stage. 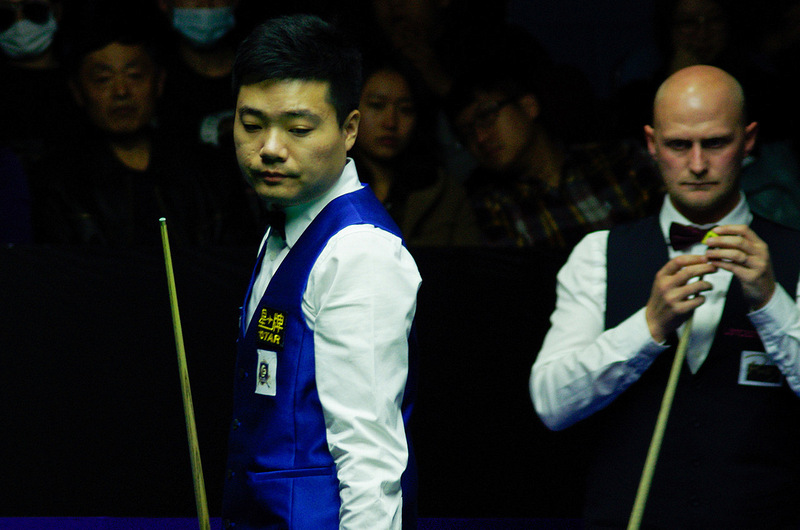 The top two seeds have been knocked out of the £657,000 tournament within the first two days, both beaten by Chinese opponents as defending champion Walden lost to Tian Pengfei yesterday. Bingham, who captured his first world title in May, won his opening match in Daqing yesterday, beating Steven Hallworth 6-1, but was outplayed by world number 55 Yu. Breaks of 72 and 48 helped Yu win the first two frames, and he added the third by clearing from brown to black. Bingham recovered to 3-2, but saw his opponent take frame six by clearing from the last red, and Yu went on to take the last two frames to claim victory. 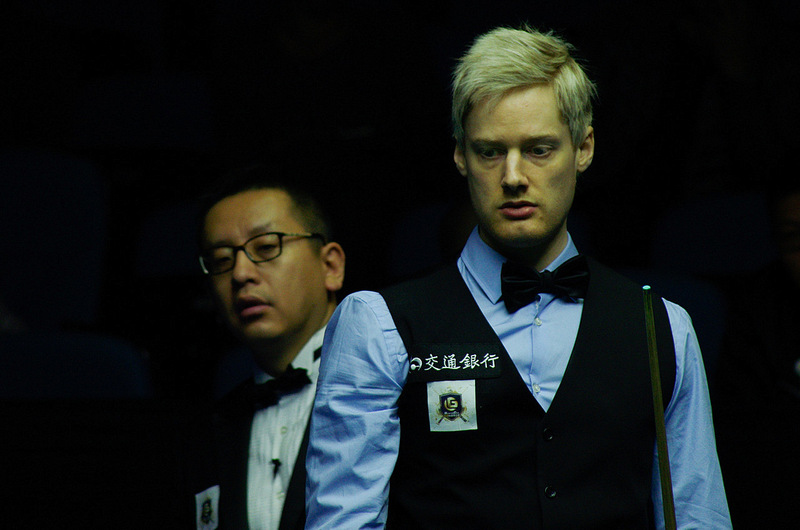 Neil Robertson was in fine form in a 6-2 win over Martin O’Donnell, compiling runs of 90, 86, 58, 127 and 104. “The standard of the match was very good, my break-building can’t get much better than that,” said Australia’s Robertson. “You have to play well from the first round these days, despite what Stephen Hendry might think! If you are off your game you can lose to anyone in the first round, and it never used to be like that. China’s top player Ding Junhui continued his recent return to form by beating Craig Steadman 6-2 with top breaks of 79 and 78. 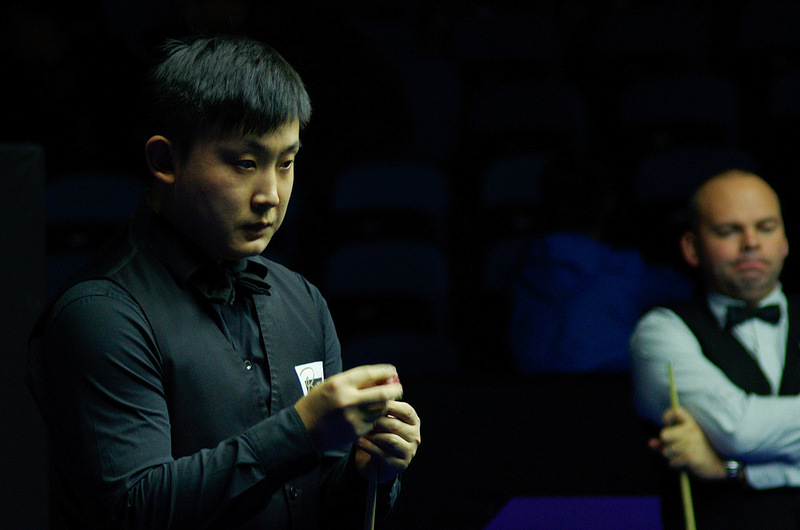 Ding won last week’s Haining Open, his first title in 16 months. Joe Perry top scored with 74 in a 6-1 win over Wang Yuchen while David Gilbert edged out Xiao Guodong 6-5. John Higgins beat China’s promising Zhao Xintong 6-2 despite a superb 142 total clearance from Zhao, the highest break of the tournament so far. Peter Ebdon made a 110 and won 6-0 in a battle of former World Champions against Ken Doherty, while Oliver Lines beat Noppon Saengkham 6-4 and is now close to going above his dad Peter in the world rankings for the first time. Jack Lisowski trailed Ali Carter four times, but recovered to win 6-5, making breaks of 100 and 62 in the last two frames.